Opposite branch arrangement, meaning branches are directly across from each other, not staggered. 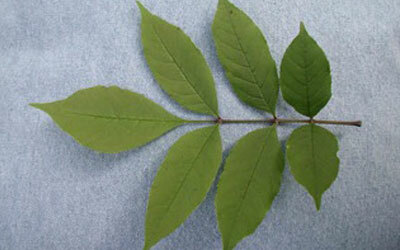 Leaves are compound and consist of 5-11 leaflets. Leaflet margins may be smooth or toothed. 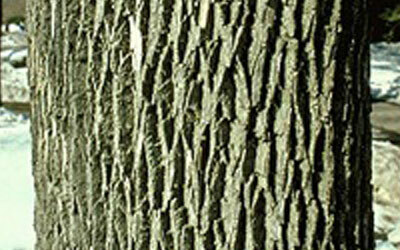 On mature trees bark is right and has a distinct pattern of diamond-shaped ridges. On young trees bark is relatively smooth. 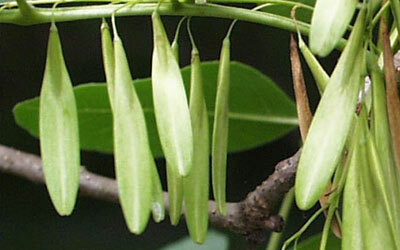 When present on the tree, seeds are paddle-shaped, they occur in clusters and generally remain in the tree until late fall. 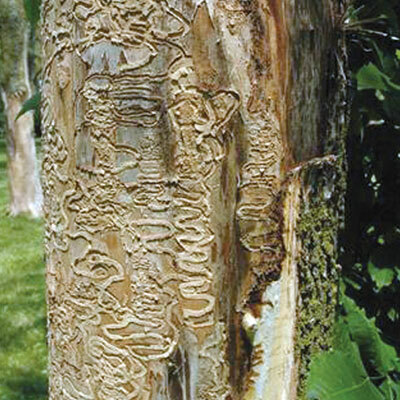 The Emerald Ash Borer is an invasive pest that is killing ash trees in Ontario. 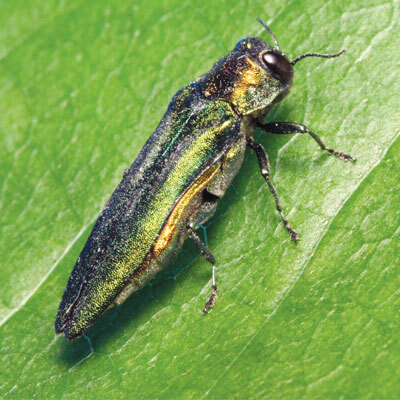 It is estimated that the Emerald Ash Borer has already killed over several hundred thousand ash trees in Ontario, and 8 to 10 million ash trees in southeastern Michigan. 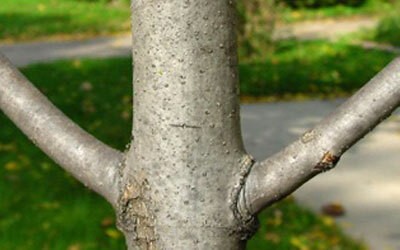 Ash Trees of all sizes are susceptible to attack. If left untreated they will, in time, become infested. Tree removal can be costly and their value is much greater than the cost of treatment. 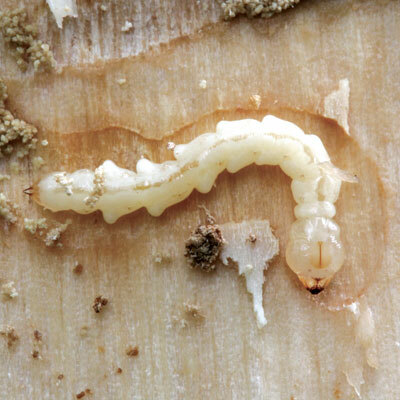 If you are within 25 km of a known infestation, treatment should begin immediately. Once infested, it could be too late. If caught early, treatment may still be an option. Treatment with TreeAzin, an environmentally friendly Systemic Botanical Insecticide made from the extract from the seed of the Neem Tree — it is in fact “Trees saving Trees”. 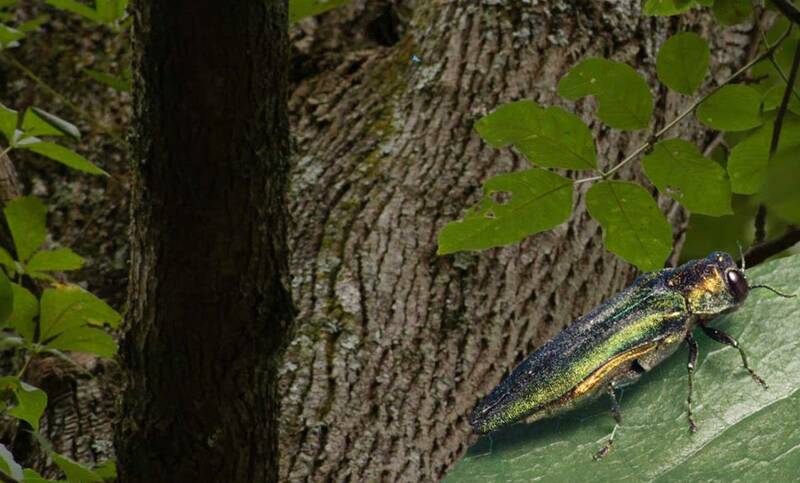 TreeAzin is injected into the base of the tree and provides 2 years protection against the Emerald Ash Borer threat. 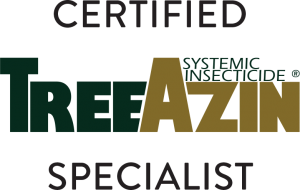 TreeAzin can only be injected during a tree’s growing season from June 1st to August 30th each year. 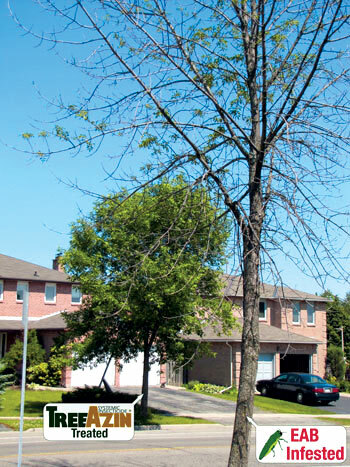 Studies of southern Ontario municipalities show 94% of TreeAzin treated Ash trees are healthy with no infestation. 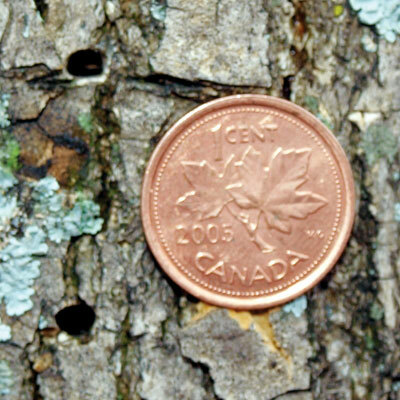 Use our form below to request a free quote on your Emerald Ash Borer needs in the Peterborough, ON area.